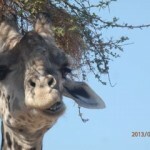 Safari snapshots – up close and personal! You don’t need your binoculars or camera … yet! Please join us for up close and personal highlights from our trip to Zambia and Botswana last summer, and a preview of the itinerary for Open Heart Safari 2014. Yes, we did track lions by foot and we saw lions just 100 feet from our hut. Yes, we did see a family of elephants walking along the riverbank in the moonlight. Yes, we did miss stepping on a black mozambique spitting cobra and yes, we did have a guide who pointed out the dangerous snake when it was safely on the other side of the path. 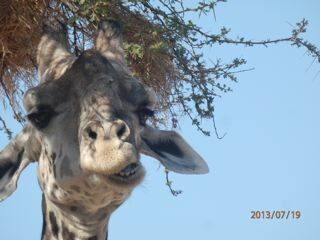 Yes, we did meditate and do yoga in the company of baboons, ellies and guinea fowl. And, yes we will be doing the trip again. Our first events are in Berkeley November 3 from 4:30-6 pm and November 14 from 7-8:30 pm. Email tom@openheartsafari.com for more information.